You should never have a oil head bath on Amavasai, Pournami, Janma Nakshatram and on Sundays and also on your birthday and wedding day. If you sit facing east and have your food it increases your life span. It is always good to keep a handful of food to the crows before eating in the noon. The crow is considered as Lord Shani and by feeding him we try to appease him from his anger. It is also believed that feeding of crows is as good as feeding our deceased. Lighting of lamps with Gingelly Oil removes fear of death. It is believed that Parvati resides at the base, Saraswati at the centre of the palm of your hand and Laksmi at the upper portion of the hand ie., fingertips. It is therefore advised that the first thing you see after you wake up in the morning is your right hand palm. You should always donate food or money to beggars while going into the temple and not when returning from the temple. You should never sleep in a room that is completely dark. There should be at least some light in the room. Fasting (Vratha) on Shivarathri makes your wishes come true. One should never go to the temple empty handed. You should take some offerings like Coconut, Fruits, Flowers or Camphor. In a temple one can light a burnt out lamp, but should never put out a burning or lit lamp. When you are returning from the burial ground after attending someone's funeral you should not have head bath with oil on that day. One should worship Godess Mahalakshmi by lighting lamps with Pure Cow Ghee. Vadha Narayana Maram (Tree) represents Air among the Pancha Boodhas. If you worship Lord Ganesh who is set up at the base of such trees your growth will increase. 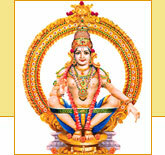 When a person prays or performs a pooja for himself ie., for his benefit it is called as Suvartha Pooja. When adjusting the thread in lamps in a temple, your fingers will come in to contact with the oil of the lamp. One should never rub that oil on the head. In the pooja room do not place pictures of Gods along with pictures of departed souls like grandfathers, great grandfathers etc. You can place them in the pooja room on a different side. For eg., if Gods are placed facing east you can place the pictures of the deceased facing south or north etc., If you worship this way then the blessings you will receive will be several fold. Lighting of lamps with threads made from cotton will maintain harmony in the family. On Tuesdays and Fridays never give or lend Rice or other Food Grains. Avoid buying dress materials, gold and property on Tuesdays and Saturdays. If you sit facing west and have your food it brings you wealth. You should always begin a Hanuman Pooja on a day when the star is Moolam and you should offer pooja only in the mornings. Always enter a temple or a house by placing your right feet first. One should never pray Lord Shani (Saturn) by standing right in front of the deity. One should always stand by the side when worshipping Lord Shani. After returning home from the temple you should give some time before you wash your hands and legs. You should never sleep with your head placed in the North Direction. Having a haircut on a Sashti (except if it falls on Sundays or Thursdays) is not good for ones brother. You should never bathe in the sea when your wife is pregnant. Fasting (Vratha) on Chadurthi makes your life happier and increases the chances of attaining more benefits at work. Having a haircut on a Pournami (except if it falls on Sundays or Thursdays) is not good for ones father. When a temple is closed one should never worship/pray from outside. You should never do auspicious things wearing wet clothes. Only inauspicious things are performed wearing wet clothes. One should go to the temple only during the temple visiting hours. You should never sleep inside the temple. Lighting of Burnt Red Sand lamps (Agal Vilaku) will give you more power. One should never light camphor on the step of the main entrance of the temple. One should never fall down and pray (namaskaram) Lord Shani (Saturn). After a hair cut you should not have head bath with oil on that day. When you are leaving the town from home, you should leave from the front entrance of your home and not from the rear side. Lighting of lamps with Coconut oil or Ilupai oil brings you health and wealth. Lighting of lamps with threads made from the lotus plant will relieve you from sins committed in the previous birth (Purva Janma Pavam) and bring wealth. Brahma Muhurtam is between 3:00 am and 6:00 am in the early morning. On Wednesdays and Saturdays never give or lend Gold or Silver Items. One should not carry the items for Pooja/Archana using the left hand. When carrying items for a Pooja in a bag, basket make sure the bag is not left hanging below your hip level. You should never bring home any item that is considered as property of the temple. Arasa Maram (Tree) represents Sky among the Pancha Boodhas. If you worship Lord Ganesh who is set up at the base of the Arasa Maram you will be blessed with children. Having a haircut on a Navami (except if it falls on Sundays or Thursdays) will lead to wealth losses. Vanni Maram (Tree) represents Fire among the Pancha Boodhas. If you worship Lord Ganesh who is set up at the base of the Vanni Maram you will be blessed with all your needs in life. One should never have a bath immediately after returning from the temple. If you start repaying the first installment or payback regularly on Tuesdays your loan will be settled quickly. If you sit facing south and have your food it brings you fame. One should worship Lord Narayanan by lighting lamps with Gingelly Oil. Lighting of lamps with Castor Oil brings you all kinds of wealth. Lighting of Bronze lamps will relieve you from your sins. One should always enter the temple through the main entrance. Amla Tree (Nelli Maram) represents Water among the Pancha Boodhas. If you worship Lord Ganesh who is set up at the base of the Nelli Maram your wealth and income will be very satisfactory. Inside a temple never pray at a place/sannadhi where there is no lamp lit. Fasting (Vratha) on Sankadahara Chadurthi protects you from sudden death and accidents. Fasting (Vratha) on Sashti, Kirthigai protects you from evil forces and from health problems. You should never put out a burning lamp, camphor or incense sticks by blowing with your mouth. You should never sit facing north when having food. Never enter a temple wearing wet clothes. When praying to the family deity(Kula Dievam) you should light lamps with a mixture of Neem & Ilupai Oils along with Pure Cow Ghee. When lighting a lamp in the pooja room make sure that the lamp is not facing south. When a person prays or performs a pooja for the benefit of others it is called as Paarartha Pooja. Fasting (Vratha) on Ekadesi brings you peace of mind and happiness.